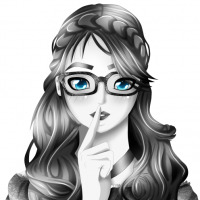 Do you need a quick and simple way to understand an unfamiliar language while browsing the Internet? 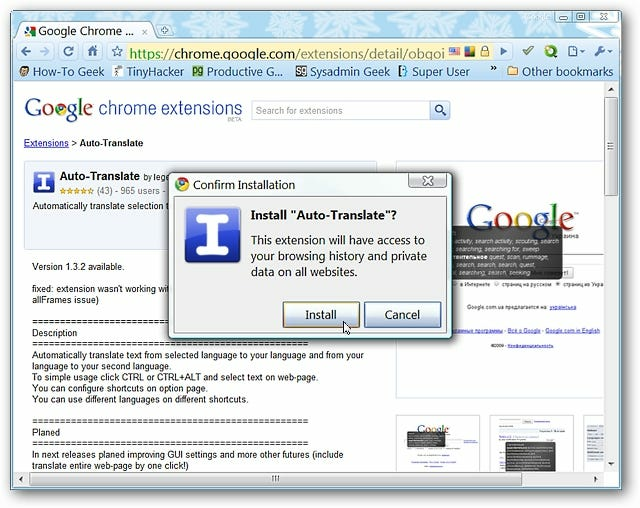 Then join us as we take a look at the Auto-Translate extension for Google Chrome. 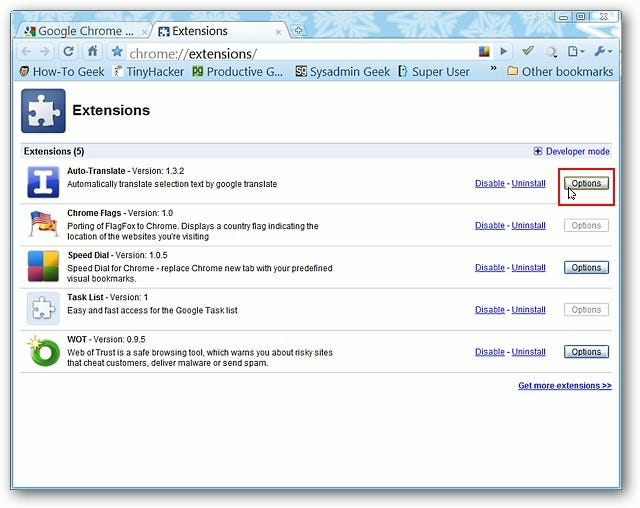 While adding the extension to Chrome you will be asked to confirm the installation…click on “Install” to finish the process. You will notice a small extension management message window once installation is finished but there will be no “Toolbar Button” visible. At this point you will need to go into the Options to set up the default languages, additional configurations, and keyboard shortcuts. Once you have gone into the options you will notice that there are three default “Configuration Tab Areas”…each associated with a particular default “Keyboard Shortcut”. Each one will have a slightly different setup (i.e. 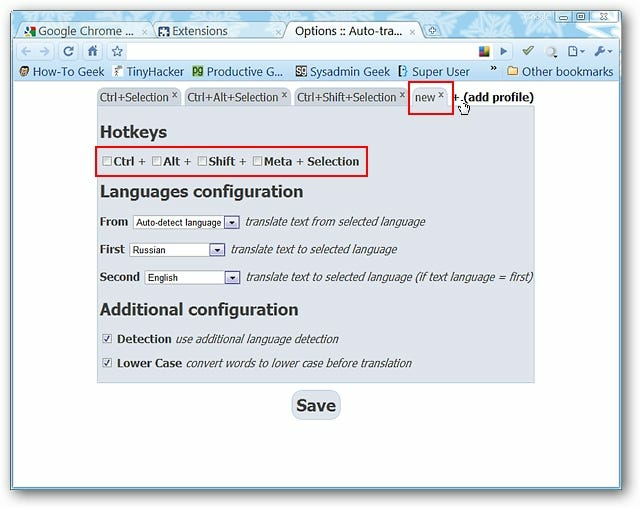 the “From Language” and “Additional Configurations”). 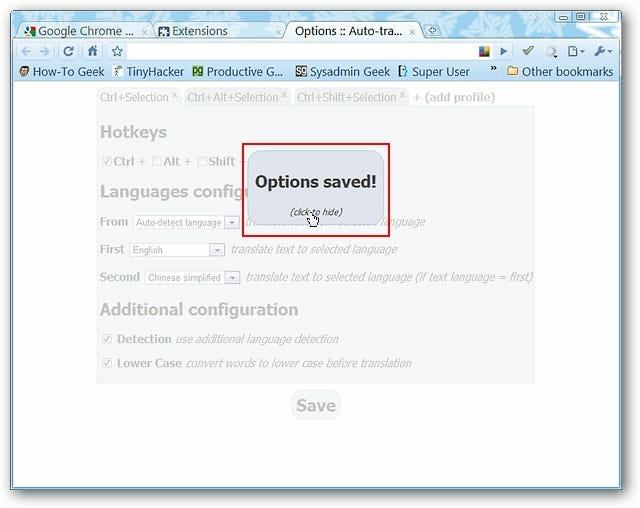 Note: If desired you can permanently remove “Configuration Tabs” by clicking on the “Tab Xs”. 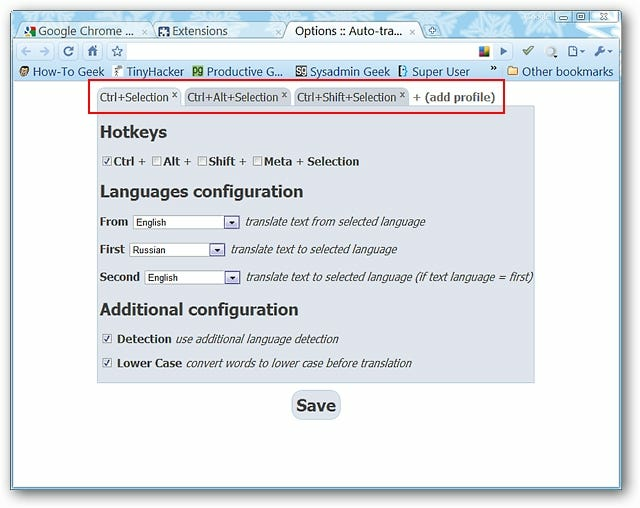 If you choose to add a “Custom Configuration” this is what you will see. Notice that you can set up your own personal “Keyboard Shortcut” and that the two “Additional Configurations” are “auto-selected” (you may prefer to deselect these). Each time that you make changes in a particular “Configuration Tab” and save them you will see the tab “shaded over” like this. If you wish to make further changes to the other “Configuration Tabs” just click anywhere on the “button” to remove the “shading”. 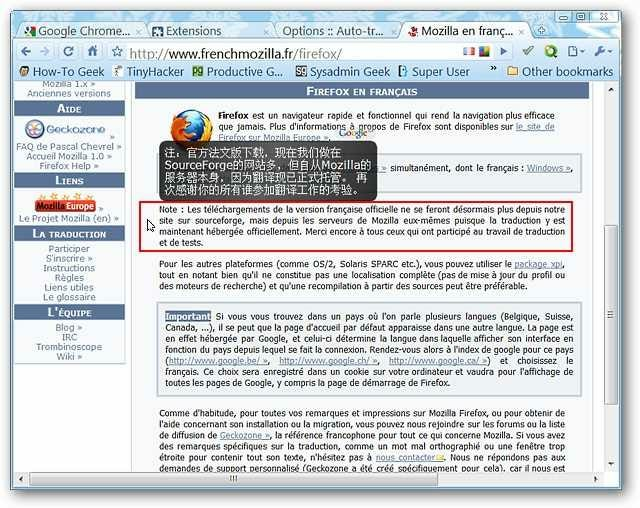 The trick to using this extension is to first hold down any keys that are associated with your chosen keyboard shortcuts/languages and then highlighting the text that you would like to have translated. 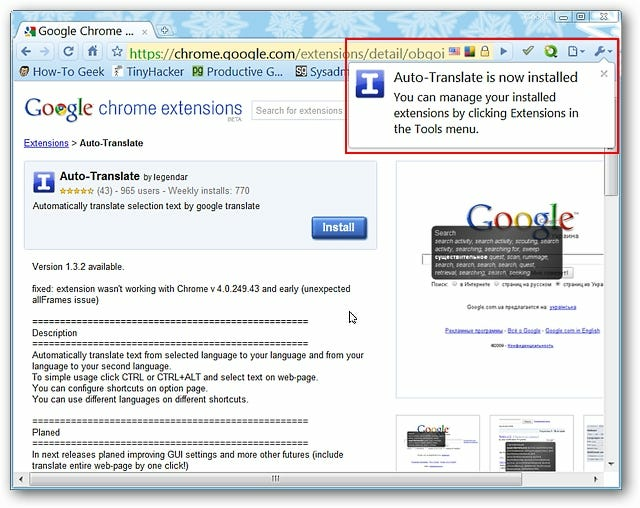 Note: As soon as the “popup translation” appears you will not need to hold down on your mouse button. 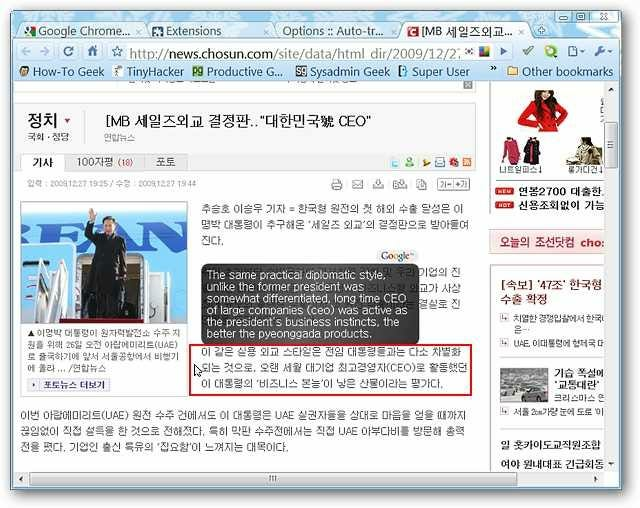 The highlighting color over the text will also “disappear”. And our Simplified Chinese translation. And the translation into Simplified Chinese. 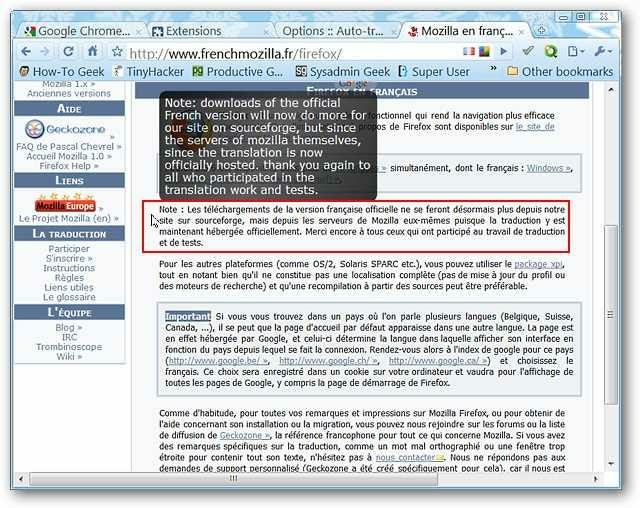 During our tests the extension was a little bit off on the translations but if you need a quick way to understand what a particular website is saying, then this is definitely a very convenient extension.